I’m too lazy to even think of a good title for this post, guys. I’m sorry. I’ve failed you. But in better news – I have a new dress to show you! 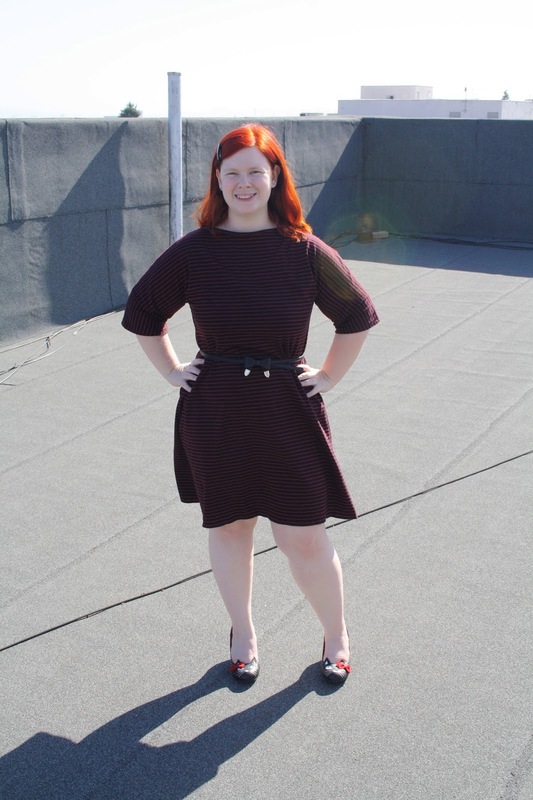 This is the Magpie Dress, from indie pattern designers Sinbad & Sailor. I was in the mood for something simple and comfortable, and when I saw this pattern, I knew it was the one. I tweeted at Hannah and asked for tips on making the dress in a knit fabric, and she replied and said it hadn’t been done before. Challenge accepted! It was a little bit windy up on the roof when I was taking these photos, which made a lot of them unusable! 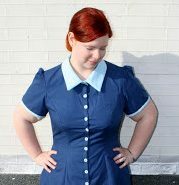 For this dress, I used a cotton jersey knit from Girl Charlee that I got on clearance. It was a bit thicker than I would have liked, but quite soft and comfy nonetheless. I cut out a size S, the smallest size for the pattern. It’s designed to be a loose, flowy dress but because I was using knit, I wanted it to be a lot closer to the body. I was envisaging something even snugger than this, but this actually turned out to be a good size. It looks a bit unflattering without the belt, tbh, but I don’t mind because I need more opportunities to wear this belt! I didn’t use the facings provided with the pattern, instead I just used a self-fabric binding, using the natural stretch of the fabric to my advantage. Holy matching stripes, Batman! I took the time to lay the pattern on the fabric and trace around it and flip it over, rather than cutting it on the fold, because I heard this makes it easier to match stripes and plaid. And it worked! I’m pretty chuffed about that, and am excited to use this trick on the plethora of plaid fabrics I have piled up (alliteration plus plus). 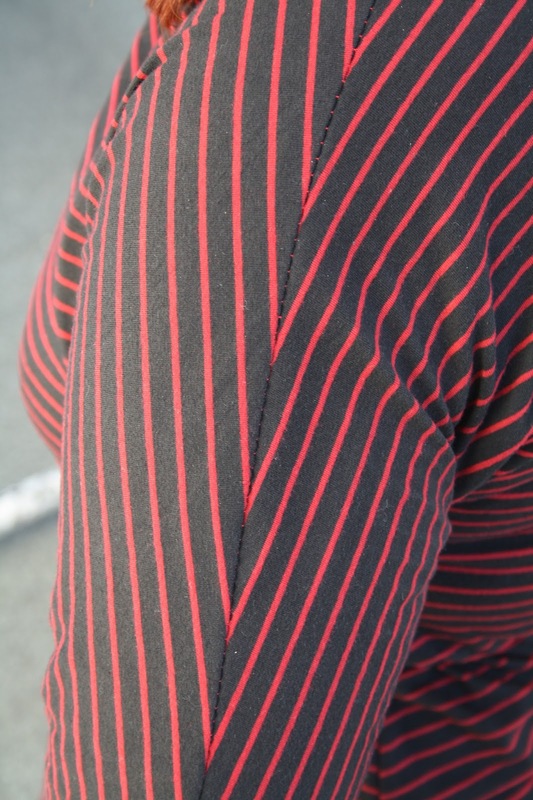 Next time, I will shorten the sleeves a tad – even after hemming, they come down to just below my elbow, and I like my sleeves to sit at the elbow, ideally. I took about 2 inches off the bottom hem of the dress before hemming it, which made it a good length, but next time I’ll make that adjustment on the pattern itself first. There aren’t any lengthen/shorten lines on the pattern, but I’ll work something else. 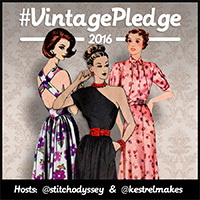 Fiddling with a large, floppy knit hem wasn’t any fun, that’s for sure. 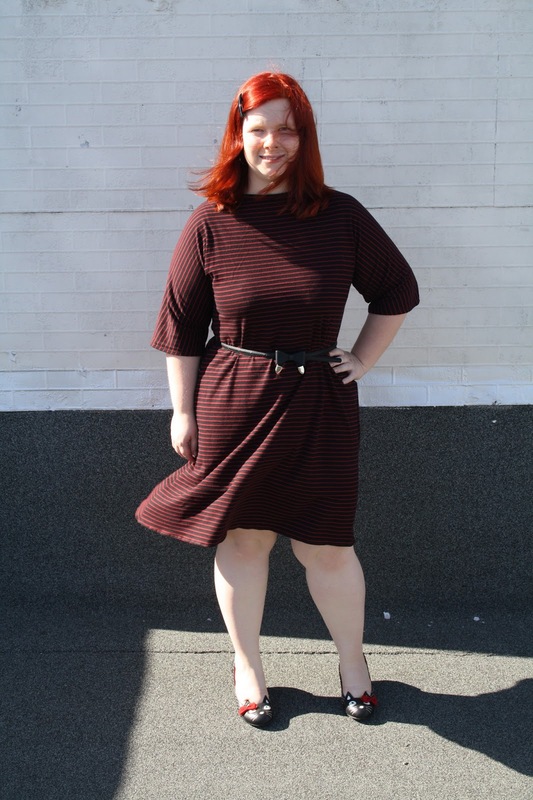 I also want to play with lowering the neckline in front a bit – I love boatnecks, but I think maybe a lower neckline would be more flattering on me. I used a twin needle for the first time on this dress, which was slightly scary, but quite rewarding. It looks so professional!